Wherever you are in Louisiana, you can find WIC near you! There’s over 100 locations in places you’ll know. 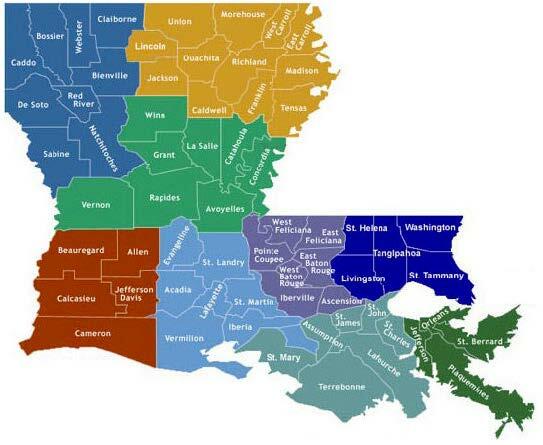 Click on the color of your parish from the map for more information. Call 1.800.251.BABY to find the closest clinic or find one in your area using the WIC map. Look at the map above. Click the color block below that matches the region you would like WIC clinic information for.